Graduate students are expected to be aware of and to comply with the general requirements for the degrees they are pursuing as outlined in the Graduate School Bulletin. In addition to the general requirements, students are expected to conform to any additional requirements set by the student’s college or academic unit. The Fogelman College of Business and Economics, the College of Education, and the Herff College of Engineering have additional college degree requirements. Please see Degree Programs for individual program requirements. A wide variety of graduate programs of study are offered in The Graduate School at The University of Memphis. Candidates for a degree must design a plan in consultation with their major advisor and then obtain the appropriate approvals. The University of Memphis offers Master’s degrees, Education Specialist degree, Doctoral degrees and graduate certificates. A master’s degree program shall generally include 30-36 semester hours of course work, although some programs require substantially more. Refer to the appropriate program description for specific requirements. The student’s program must be approved by the major academic unit. A student may be required to take courses beyond the minimum to ensure balance and depth in the discipline. A minimum of 70% of the total required hours must be provided by 7000 level courses. No more than 12 hours of workshop courses and independent study courses may be applied to a master’s degree. Individual academic departments may allow fewer workshop or independent study hours in their programs. The maximum amount of combined hours of transfer credit, credit by examination, course validation and experiential learning that can be used to fulfill degree requirements is two-thirds of the number of hours required for the degree. The Graduate School sets minimum standards to which all the diverse graduate programs across the university must adhere. Individual colleges, schools, and graduate programs are encouraged to set more stringent requirements as necessary to meet their accreditation and student needs. Each graduate program listed in this catalog has minimum degree requirements. In consultation with the faculty, the graduate coordinator of each program may specify any additional requirements, such as prerequisites, a reading knowledge of a foreign language, a working knowledge of statistics, or specific courses related to graduate or teaching assistantships. students who provide evidence of knowledge of a foreign language other than that of the concentration equivalent to a fourth-semester language course or superior may arrange with the section head of the specific language for a written test to prove competency. All requirements for the degree must be completed in eight years. Courses older than these limits will not be allowed as credit toward the master’s degree, although the grades will be calculated in the cumulative GPA. Grades earned in courses that are older than program time limits will be shown on the transcript and will be calculated in the cumulative GPA, but will not be accepted for graduation purposes. There are no exceptions to program time limits. However, students may request the option of validating old courses as described in the Academic Regulations section of this Bulletin. Before being recommended for graduation, every candidate for the master’s degree who does not write a thesis is required to pass a final comprehensive examination. Many programs also require a comprehensive examination for those students writing a thesis. Some professional programs require a culminating experience instead of a comprehensive examination. Please see specific program requirements. Some programs give the comprehensive examination within a short time period during or near the last semester of coursework or after all coursework is completed. In some professional programs the comprehensive examination is given during the calendar year in which the student expects to graduate. Other programs give a series of exams over several semesters. In all cases, comprehensive exams should be completed late enough in the student’s program to ensure full coverage of content areas represented by required coursework. In programs that do not require comprehensive examination for thesis writers, the thesis defense will include broad questions covering the breadth of coursework as well as the thesis content and will be used to satisfy the comprehensive examination requirement. Comprehensive examinations are administered only to students in good standing and may be oral, written, or both. The result of the exam (positive or negative) must be communicated to the Graduate School on the Comprehensive Results Form within the same semester the exam was taken or by the specified deadline in this catalog. Protocols and procedures for administration of comprehensive examinations can be obtained at the departmental level. It is the student’s responsibility to confer with the appropriate academic department regarding the time and place of the examination. A student who does not perform satisfactorily on the first comprehensive examination will be given an opportunity to take a second examination at the next regularly scheduled examination period. For serial examinations, given over several semesters, see the specific program repeat policies. The academic department may recommend appropriate coursework, which the student will take in preparation for retaking the exam. The “Master’s Degree Candidacy Form” for the Master’s Degree and a graduation application (Apply to Graduate - available in MyMemphis) must be filed by the deadline published in the Graduate Catalog, posted on academic department bulletin boards on campus, and available on the Graduate School web site. No exceptions will be made if both the graduation application and degree candidacy forms are not submitted by the stated deadlines. The student must have a cumulative GPA of 3.0 on all graduate work undertaken at The University of Memphis whether or not the courses are listed on the candidacy form. Grades of “D” or “F” are not accepted for any graduate degree credit, but these grades will be computed in the GPA. No more than seven (7) hours of “C+,” “C,” or “C-” will be counted toward degree requirements. The student must have at least a 3.0 average in all graduate work at the time the graduation application in My Memphis is filed. The program must include a minimum of 70% of the total required hours as 7000 level courses. All requirements of the Graduate School, the student’s college, and the academic department must be met. If a student wishes to substitute a course for a required course, the substitution must be approved by the student’s advisor or the program coordinator on the Course Substitution Form. The form must accompany the candidacy form. The student’s graduate work up to this point must be acceptable in quality and quantity to the major advisor, department chair and/or director of graduate studies in the student’s college, and the Dean of the Graduate School. Students must be enrolled during the semester in which they defend the thesis. Colleges and departments may require enrollment during the semester in which comprehensive exams are taken; check with your program for details. Most academic departments provide students both a thesis and a non-thesis option (see department descriptions). A thesis of 3 to 6 semester hours may be presented as partial completion of degree requirements. Students must enroll for thesis credit each academic semester until the thesis is completed, regardless of how many hours the program will accept. Students electing to write a thesis should familiarize themselves with the Thesis/Dissertation Preparation Guide before starting to write. An approved Thesis/Dissertation Proposal Form must be filed with any necessary human or animal subjects approvals before any research is undertaken. See the section on “Regulatory Issues ” for more information. The student will select a thesis committee (minimum of three members) made up of graduate faculty approved by the head of the academic unit and/or the college director. The chair of the thesis committee must hold full or associate graduate faculty status. Only one affiliate or adjunct graduate faculty member may serve as a voting member of a thesis committee. If the thesis committee differs from the advisory committee, a new committee form must be filed with the Graduate School. The continuous enrollment policy applies to thesis, capstone projects, and all other culminating experiences. Most programs require at least one culminating experience course; see specific program requirements for details. A student must be enrolled for at least 1 hour each Fall and Spring semester until the thesis or project is complete. A student must be enrolled in the Summer semester if the thesis will be completed then. Failure to so register will result in the student being charged tuition for each semester he or she did not enroll. The only exception to this policy is if the student’s major professor is on leave or otherwise unavailable. In such cases the approval of the appropriate college director and the Dean of the Graduate School is required. In case of serious medical circumstances, students may request a leave of absence, subject to the approval of the program graduate coordinator, the college director of graduate studies, and the Vice Provost for Graduate Programs. Retroactive approval will not be granted. A leave of absence does not extend time limit to degree. Students must be enrolled in the semester during which they defend the thesis. Upon completion of the thesis, the student must successfully complete an oral defense administered by the student’s advisory committee and the results reported to the Graduate School. All committee members must be present at the examination and the results are determined by a unanimous vote of the committee. Only one adjunct or affiliate graduate faculty member may serve as a voting member on a master’s committee. If the oral exam encompasses both the comprehensive and the defense, the results should be reported separately on the forms provided. In this case, the thesis defense will include broad questions covering the extent of coursework as well as the thesis content. The final draft of the thesis must be approved by all members of the student’s committee. After the successful defense, a copy of the defended and corrected thesis must be submitted to the Graduate School along with the committee approval form. This copy must contain all corrections which may have been given to the student during the final defense. After the Graduate School has reviewed the final draft, the student must make all additional corrections. At such time, the student will convert the final corrected document into a PDF version and upload to the Electronic Thesis/Dissertation (ETD) archival system. See the Graduate School Thesis/Dissertation Preparation Guide for instructions on how to upload to the ETD system. Students who unsuccessfully defend their thesis will be assigned a “U” (unsatisfactory). The Graduate School will then send a letter of termination from the program. Credit will be posted upon completion and acceptance of the thesis. No more than six (6) hours will be allowed for a master’s thesis, even though the student may have been required to register for additional hours in order to maintain continuous enrollment. If a student elects not to complete the thesis, a retroactive drop (or withdrawal) must be processed for the last term of enrollment in thesis credit to reflect the change of program on the student’s transcript. Students who hold or are enrolled in a master’s degree from The University of Memphis may pursue a second master’s degree with a different major or degree if the academic unit accepts them. Up to 20% of the total combined credit hours for the two degree programs or fifteen credit hours (whichever is greater) may be shared. Shared credit hours must be approved by the advisor and graduate coordinator for each degree program. Two degrees may be pursued simultaneously or sequentially. Each degree must be completed within the eight year time limit. Students may initiate a dual degree program to meet their educational and career goals. Student initiated programs require admission to both master’s/professional programs and a plan of study approved by both graduate coordinators and the Graduate Coordinators and the Graduate School. The plan of study will show all the credit hours that will be earned in the two degrees. The Education Specialist degree is designed for the educator-practitioner who desires post-master’s training but who does not wish to earn a doctorate. For additional information, please refer to the College of Education. Doctoral degrees require at least 72 credit hours beyond the bachelor’s degree; however, many programs require additional hours. Specific requirements for the doctoral degree vary with the academic department; see the appropriate section in this Bulletin. The student’s program must be approved by the major academic department. A student may be required to take courses beyond the minimum to ensure balance and depth in the discipline. No more than 15 post-baccalaureate hours of 6000 level courses may be applied to a doctoral degree.The last 30 hours of credit must be earned at the University of Memphis. Of the final 30 hours, no more than the maximum allowed by the program may be dissertation hours. A minimum of 6 hours of dissertation credit is required. The maximum amount of combined hours of transfer credit, credit-by-examination, course validation and experiential learning that can be used to fulfill degree requirements is no more than two-thirds the number of hours required for the degree. The Graduate School sets minimum standards to which all the diverse graduate programs across the university must adhere. Individual colleges, schools, and graduate programs are encouraged to set more stringent requirements as necessary to meet their accreditation and student needs. Each graduate program listed in this catalog has minimum degree requirements. In consultation with the faculty, the coordinator of each graduate program may specify any additional requirements, such as prerequisites, a reading knowledge of a foreign language, a working knowledge of statistics, or specific courses related to graduate or teaching assistantships. Doctoral degrees must be earned within 12 consecutive years. All course work must be completed within 10 years of the student’s original admission to a doctoral program. The student may take a further two years of dissertation credit. However, some academic departments may have more stringent time limitations. There are no exceptions to program time limitations. 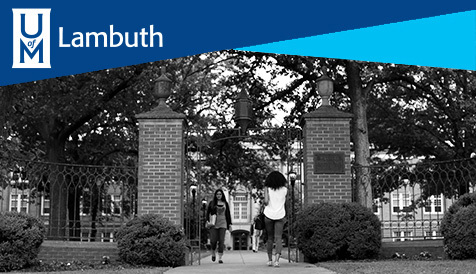 However, students may request the option of validating old courses taken at The University of Memphis as described in the “Academic Regulations ” section of this Bulletin. Grades earned in courses at The University of Memphis older than program time limits will be shown on the transcript and calculated in the cumulative GPA, but will not be accepted for graduation purposes. Students must commit to full-time study for a minimum of two successive semesters after admission to the degree program to fulfill the residency requirement. Some academic departments do not count the summer term towards residency. The College of Education, Health and Human Sciences has an alternative residency program; refer to the appropriate section of this catalog or contact the College for additional information. After admission to the doctoral program, the student will be assigned a major advisor, who must be a full member of the Graduate Faculty, to chair the student’s Advisory Committee. This committee will work closely with the student to formulate an approved program of study. The program head, following consultation with the student and major advisor, will approve the appointment of a minimum of three members to the Advisory Committee. Only one adjunct or affiliate graduate faculty member may serve as a voting member on an advisory committee. These appointments will be forwarded to the Dean of the Graduate School. The advisory committee is not necessarily, but may be, the same as the dissertation committee (see below). Individuals seeking a doctoral degree may be required to take a qualifying examination administered by the academic department in which the student wishes to major. The examination may cover specialized and general knowledge of the major area as well as writing skill. The results of the qualifying exam should be used, in part, to plan the academic program. To be eligible to take this qualifying examination, the student must be fully admitted to the Graduate School. Academic departments may hold additional requirements. When a student in good standing has completed all basic required coursework for the doctoral degree or is enrolled in the last semester of coursework (exclusive of dissertation hours), he/she must pass a comprehensive examination. This examination will normally contain both written and oral components, covering the major and collateral fields of study. Decision on the examination component(s) will be made by the program faculty members to preserve subject area competency, and any waiver for an individual student of written or oral component will be documented and included in the record. Performance must be acceptable to the Advisory Committee (not more than one dissenting vote is allowed). The result of the exam (positive or negative) must be communicated to the Graduate School on the Comprehensive Results Form within the same semester the exam was taken or by the specified deadline in the Graduate Catalog. Protocols and procedures for administration of comprehensive examinations can be obtained at the departmental level. The comprehensive examination is not a course; therefore the results of the examination can not be appealed, nor can they be changed after the form has been filed with the Graduate School . Students may take the examination a second time, however. A second failure results in termination, which can be appealed. The retention appeals process is formalized and must be followed in all cases. See the section on Retention Appeals . A student may register for dissertation hours only after passing the comprehensive examination, submitting the results to the Graduate School, and submitting an approved “Doctoral Degree Candidacy” form to the Graduate School. The student will select a dissertation committee (minimum of four members) made up of graduate faculty approved by the head of the academic unit and/or the college director. The chair of the dissertation committee must hold full graduate faculty status. It is strongly recommended that one member be outside the discipline. Only one affiliate or adjunct graduate faculty member may serve as a voting member of a dissertation committee. If the dissertation committee differs from the advisory committee, a new committee form must be filed with the Graduate School. The student must submit a graduation application (“Apply to Graduate”) in the term the dissertation will be completed and submitted to Graduate School for final approval. This application is available in the student’s MyMemphis account under the MyDegree tab. A student must have at least a 3.00 grade point average in all graduate work before applying to graduate. The student must also submit a Doctoral Degree Candidacy Form, if one has not previously been submitted. The student must have a cumulative GPA of 3.0 on all graduate work undertaken at The University of Memphis whether or not the courses are listed on the candidacy form. Grades of “D” or “F” are not accepted for any graduate degree credit but these grades will be computed in the GPA. No more than (7 hours of “C+,” “C,” or “C-” will be counted toward degree requirements. No more than 15 hours of 6000-level courses may be applied to a doctoral degree. Individual departments may have more restrictive requirements. Grades earned on courses taken during the student’s final semester may not be used to correct GPA deficiencies. All coursework offered for the doctoral degree must have been completed within 10 years. If a student wishes to substitute a course for a required course, the substitution must be approved by the student’s advisor or the graduate program coordinator on the Course Substitution Form. The form must accompany the candidacy form. An acceptable dissertation is a requirement for all doctoral degrees. The dissertation must represent a significant scholarly effort that culminates in an original contribution to the field of inquiry. It should reflect the candidate’s ability to conduct independent research and interpret in a logical manner the facts and phenomena revealed by the research. The dissertation must meet the specific regulations of the academic department in which the student is majoring and the Graduate School. Consult the academic department for the acceptable format. Students should also familiarize themselves with the Thesis/Dissertation Preparation Guide before starting to write. The dissertation proposal (or prospectus) is developed under the guidance of the dissertation committee. All members of the dissertation committee must approve the proposal (prospectus) and the approved form must be filed with the Graduate School. The final draft of the dissertation must be approved by all members of the dissertation committee. After the successful defense, a copy of the defended and corrected dissertation must be submitted to the Graduate School along with the committee approval form. After the Graduate School has reviewed the final draft, the student must make all additional corrections. At such time, the student will convert the final corrected document into a PDF version and then upload to the Electronic Thesis/Dissertation (ETD) archival system. See the Graduate School Thesis/Dissertation Preparation Guide for instructions on how to upload the final document. After the dissertation has been approved by the ETD manager, the student should submit the final approved PDF version to the Graduate School on a CD, along with an extra title page, an extra unnumbered abstract of not more than 350 words, the ProQuest Microfilming Agreement form (provided to student when defended copy has been reviewed) and confirmation that the Survey of Earned Doctorates has been completed. The abstract will be published by ProQuest. Fees to cover the cost of microfilming and publishing are specified in Section 6, under “Miscellaneous Fees,” and are to be paid by the student. Students who unsuccessfully defend their dissertation will be assigned a “U” (unsatisfactory) grade. The Graduate School will then send a letter of termination from the program. Doctoral candidates must register for dissertation credit each academic semester (fall and spring) until the dissertation is completed. Students must enroll in the summer semester if they plan to complete and defend their dissertation then. See individual academic units for specific requirements. Failure to so register will result in the student being charged tuition for each semester he or she did not enroll. The only exception to this policy is if the student’s major professor is on leave or otherwise unavailable. In such cases the approval of the appropriate college director and the Vice Provost for Graduate Programs is required. In case of serious medical circumstances, students may request a leave of absence, subject to the approval of the program graduate coordinator, the college director of graduate studies, and the Dean of the Graduate School. Retroactive approval will not be granted. A leave of absence does not extend time limit to the degree. After the completion of the dissertation and all other prescribed work for the degree, candidates will be given a final oral examination dealing with the dissertation and its relation to the candidate’s major field of study. The student’s dissertation advisory committee will conduct this exam. All members must be present at the examination. If the student’s performance on this examination is satisfactory as judged unanimously by the committee, all requirements for the degree will have been completed. Students must be enrolled in the semester during which they defend the dissertation. Students who unsuccessfully defend their dissertation will be assigned a “U” (unsatisfactory). The Graduate School will then send a letter of termination from the program. Credit will be posted upon the completion and acceptance of the dissertation. A minimum of 6 hours of dissertation credit is required. No more than the maximum number of semester hours for dissertation accepted by the academic department will be counted towards the degree, even though the student may have registered for additional hours in order to maintain continuous enrollment. Students must “Apply to Graduate” by the deadline published in the Graduate Catalog, posted on academic unit bulletin boards, and available on-line for the term the dissertation will be complete. No exceptions will be made if a student does not complete an application to graduate by the stated deadlines. The Dissertation Defense Results form, as soon as the defense has concluded. Please notify the Graduate School Graduation Analyst, Jennifer Beech, of any changes in name or address. Students who are graduating will receive notification from the Commencement Office explaining graduation ceremony requirements periodically throughout each semester. Students who hold or are pursuing a doctoral degree from the University of Memphis may pursue a second doctoral degree with a different major or degree if the academic unit accepts them. Students pursuing two doctoral degrees must seek prior approval from each major professor and doctoral committee before being considered a doctoral candidate. No more than 12 semester hours from one doctoral degree may be applied toward the other degree. The second academic unit will determine whether any credit from the former degree will be accepted toward the second degree. Any credit accepted toward the second degree must have been earned within the regular time limit requirements for the doctoral degree. Students must pass separate comprehensive examinations and successfully defend separate dissertations. Two degrees may be pursued simultaneously or sequentially.